Former Russian State Duma MP and Ukrainian national Denis Voronenkov was shot dead in Kyov. The killer was wounded by Voronenkov's bodyguard and detained but later died in a hospital. The bodyguard was also wounded. Doctors are now fighting for his life. 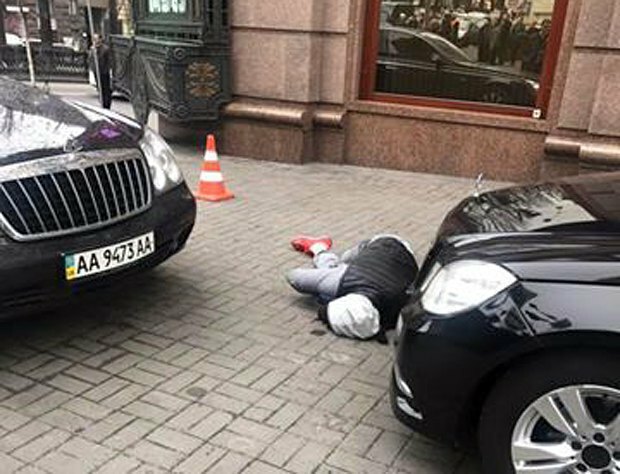 "Denis Voronenkov was killed outside Premier Palace at 11.25. He was going to meet me. At loss for words. A guard managed to wound the attacker. The scenario is clear – I said before that Voronenkov is not a crook but an investigator who poses critical danger to Russian siloviki. My deepest condolences to Maria Maksakova," former State Duma Ilya Ponomarev said on Facebook. Scenario 1. 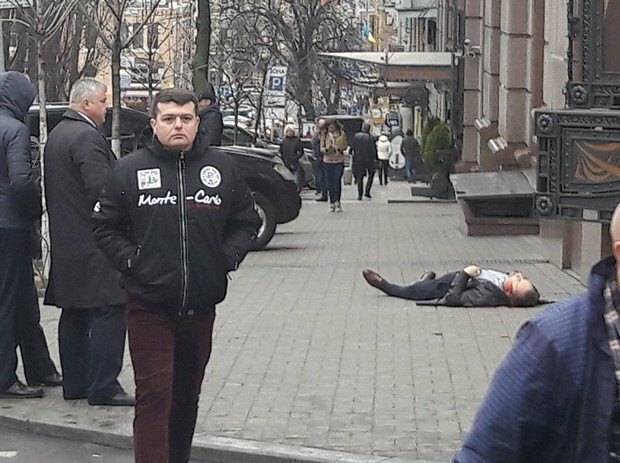 "The Kremlin's hand"
The main scenario of the State Duma ex-MP's killing in central Kyiv is a political assassination carried out by the Russian special services (or on their order) as an act of vengeance for his betrayal. And to intimidate others so that "rats do not follow his suit". The Ukrainian president described Denis Voronenkov's murder as an "act of state terrorism on the part of Russia which he was forced to leave for political considerations". "It is a signature style of the Russian special services which was previously repeatedly observed in various European capitals. Voronenkov was one of the key witnesses of the Russian aggression against Ukraine, in particular Yanukovych's role in the incursion of Russian troops into Ukraine," Poroshenko said at a meeting with uniformed agencies. What is more, he made a connection between the ex-MP's murder and the terrorist act at an arms depot: "I think it is no coincidence that the murder happened the same day as the act of sabotage in Balakliya, Kharkiv Region." Anton Herashchenko, an aide to the interior minister, also suggested Russia did not forgive Voronenkov's move to Ukraine. "This is a contract political assassination meant to intimidate all those Russian MPs and officials who are trying to flee Russia for the West or Ukraine and tell the truth about the workings of the Russian punitive machinery. He was killed in revenge for his and his wife's truthful statements about preparations for the annexation of Crimea and attack on Donbas." He saw similarities with the murder cases of Aleksandr Litvinenko, Boris Nemtsov and Pavel Sheremet and suggested the Russian special services were involved. "The Soviet KGB also killed many of the best sons of Russia and Ukraine. But this did not keep the Soviet Union from collapsing," he hopes. Ukrainian Prosecutor-General Yuriy Lutsenko linked Voronenkov's murder with the case of Viktor Yanukovych. 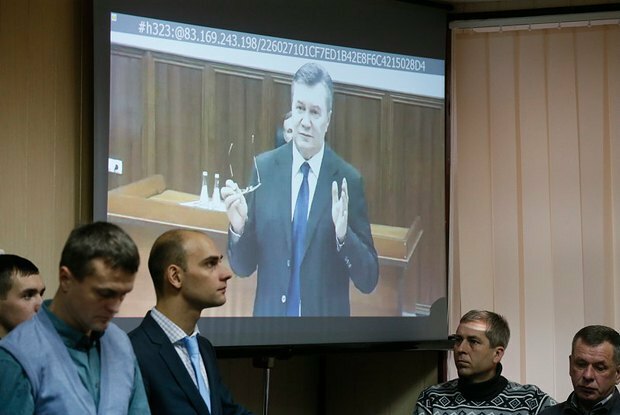 The version that Voronenkov's murder was ordered by the team of the fugitive ex-president of Ukraine, whose vast criminal record and similar methods are well-known, is absolutely realistic because the ex-MP is a witness in the case of high treason by Yanukovych. "The cynical murder of one of the witnesses in the case of high treason by ex-President Yanukovych. Russian State Duma ex-MP Denis Voronenkov, who provided investigators of the military prosecutor's office with the extra-important statements on the case, was shot dead in the broad daylight in central Kyiv," he said on Facebook. If it is so, the Kremlin should knock its "guest" Viktor Fedorovych off his perch, after all he has already caused a lot of problems for entire Russia. And he continues to plague the Kremlin rulers. Understandably, Russia flatly denies any involvement. Putin's press secretary Dmitriy Peskov fist refused to comment on the terrorist act but later denied the allegations and blamed Kyiv for failing to ensure Voronenkov's safety. Many theories were shared in the media, most of which are absurd. 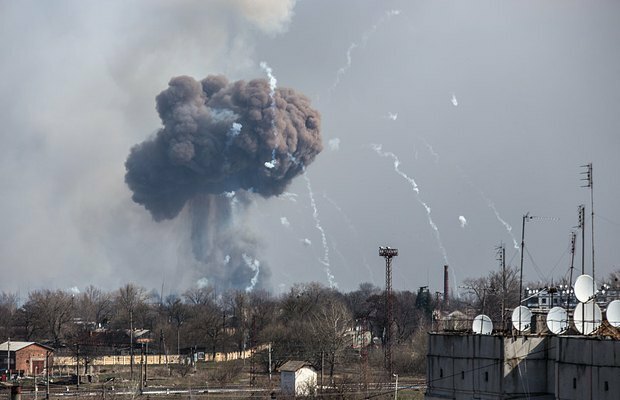 One of the most popular ones is "the SBU [Security Service of Ukraine] did this to frame up Moscow". By the way, it was clear from the start that there would be a hunt for Voronenkov: the cases of Aleksandr Litvinenko and Ilya Bogdanov made it clear. What is more, Russians even sent a signal: a media campaign was launched to ensure an information cover for a future crime. In February 2017, pro-Kremlin media shared a Facebook post of some military expert saying the SBU was going to do away with Voronenkov and Maksakova as a "sacred sacrifice" to accuse Moscow (as if Kyiv was short of other good reasons). There is a similar theory: "Ukrainian radicals did not like Voronenkov, they presented him with a "black spot", and the way in which Voronenkov was killed is similar to radicals' style to get rid of people" and "the Right Sector reminded him about the Crimea vote." There is also a business theory: "We do not know for sure who he 'made interest' with. They could shut him up to keep him silent." Attempts are being made to cast a shadow over Ilya Ponomarev whom Voronenkov was going to meet: "[the one who was interested is – ed. note] clearly the one who invited him!!!!! We would call and kill him, no-one would think it was us." For Russia, this tactic is not new. Exactly the same happened when they committed the MH17 terrorist act: even the most idiotic theories were planted (for example, corpses were put onboard in advance) simply to puzzle the commoners and conceal the man version of the murder. The special services could not but predict someone was intending to eliminate witness Voronenkov. This point is proven by the fact that, first, he had security (visible and invisible to the onlooker's eyes). And specialists are likely to have told him not to be out in public much but to lay low. He could easily afford it with his wealth. And the killer's wounds – two in the chest and head and one penetrating shot in the head – show that the guard was a sharpshooter. However, Denis Voronenkov appears to have chosen to be out in public, considering it his guarantee of security: he gave numerous interviews (including to Russian media, which means Russians had his phone number and could locate him) and went out to meet his friends. This tragic day he was heading for a meeting with his former State Duma colleague Ilya Ponomarev. It is a case of unmitigated temerity: they knew that both are enemies of the Kremlin but still decided to meet in a hotel owned by Putin's special representative Aleksandr Babakov… We can say they were too careless. When it comes to the way Voronenkov's murder was committed, it would be no surprise if the executor turned out to be a criminal (a local one). Often they are hired (in Crimea or occupied areas of Donbas) to do the dirty work, having first trained and supplied them with murder weapons. They are literally hired for a penny (in Herashchenko's case, they did not even have 100 dollars to take a taxi to the border). With this tactic, one can wash their hands off in case of a failure. Even if they get killed during an assignment, no-one will feel sorry for "expendables". Denis Voronenkov's murder is yet another reminder that the antiterrorist operation area is not confined to certain areas of Donetsk and Luhansk regions. And the battlefield with Russia stretches to entire Ukraine. We just have to accept this and behave accordingly. The SBU and other Ukrainian special services catch saboteurs and foil terror acts all the time. For example, just a day earlier, the SBU detained a group of saboteurs in Odesa (its lady organizer was a public servant) plotting the killings of Ukrainian activists in southern Ukraine and acts of sabotage on critical infrastructure. Earlier, there was an attempt on the life of Anton Herashchenko, and before this there was an attempt on the life of Andriy Parubiy. But you cannot affix a special service member to everyone. And our people will clearly object. But it is important for everyone to remain vigilant and concerned. Russians who left Russia and are actively engaged in the social and political life of Ukraine are at particular risk. Just recall the case of Ilya Bogdanov, a former FSB employee who later took an active part in the antiterrorist operation. Another friend of mine from Moscow, who used to work for Surkov, survived an attempt to poison him in February 2016 – luckily, it worked out fine (thanks to the prompt response). Late Russian [editor] Aleksandr Shchetinin was averse to communication with his former compatriots. He understood all the risks, saying he "had a gut feeling each of them had shoulder marks under their shirts". The West should finally hear Kyiv that is screaming at the top of its lungs even in the International Court of Justice: Russia is a country which supports terrorism. The hydra of terrorism should have its head cut, not the tentacles which will grow anew.